Come and meet the wacky characters who hide in this fabulous garden! Tamers of fawns, rock breakers and acrobats, they come to life thanks to the magic of watercolor in the midst of flowers and animals. 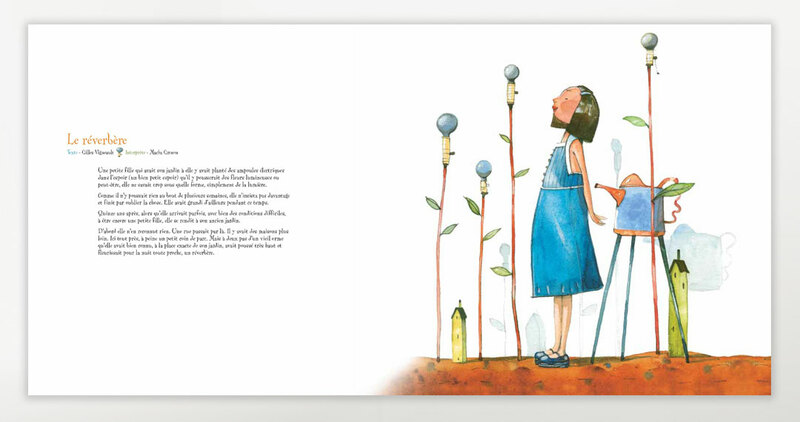 A book overflowing with enthusiasm that makes us discover the fantasy world of Gilles Vigneault! 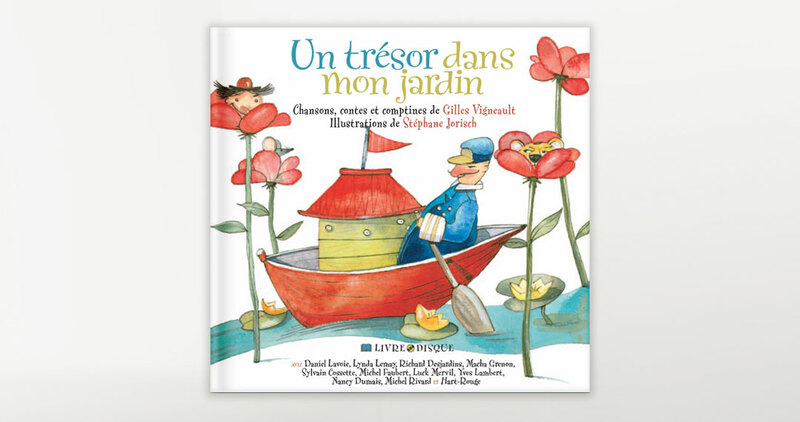 Lullabies, rhymes and folk-pop songs accompany the book, and among them the classics, “J’ai pour toi un lac” et “Les amours, les travaux.” The rhymes twirl on the pages and in the ears of the children! 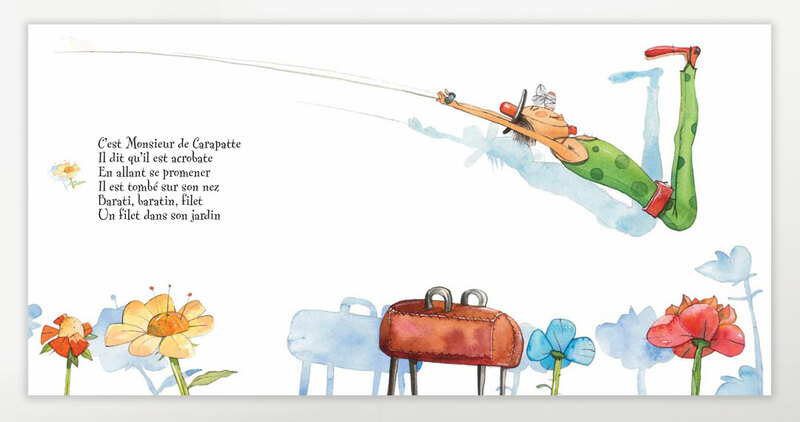 A treasure of tenderness and a poetic ode to the nature that surrounds us. As a member of the Canadian Songwriters Hall of Fame, Gilles Vigneault is hailed as one of Canada’s most influential music figures of the 20th century, especially as a champion Québécois folksinger. His work often evokes his great love of nature and the passion he has for his hometown of Natashquan, a remote, windswept village on the banks of the St. Lawrence River. He has received numerous distinctions including the “Grand prix du disque et de l’Académie Charles-Cros” in France and the “Médaille Vermeil” offered by the City of Paris. 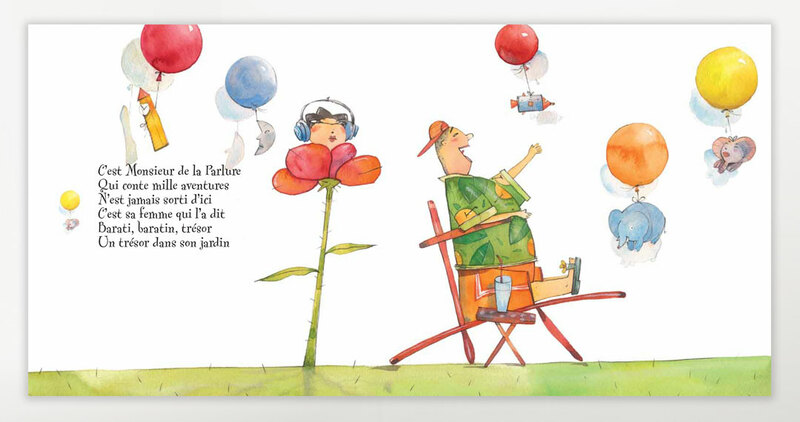 Stéphane Jorisch is a four-time winner of the Governor General’s Literary Award, the Ruth Schwartz Children’s Book Award and the Amelia Frances Howard-Gibbon Illustrator’s Award. He has also created set designs for Le Cirque du Soleil.